For the first time, SC conference releases a comprehensive list of all Gordon Bell winners since 1987. Here is that historical perspective. Each year at SC, two key indicators of HPC performance are highlighted. Both were created to provide a more accurate measure of overall performance than the theoretical peak performance levels sometimes touted by vendors. As Alan Laub, who was the first head of the Department of Energy’s SciDAC program, once said, “Peak performance – the manufacturer’s guarantee that you can’t compute faster than that.” So, coming up with metrics that provide defensible results is critical. One, the TOP500 list, details how fast the LINPACK benchmark runs on the top 500 supercomputers of those who submit their performance data. While the focus of the TOP500 list is on the systems themselves, the ACM Gordon Bell Prize recognizes the scientists who push those systems to get the most scientific productivity out of them, with particular emphasis on rewarding innovation in applying high-performance computing to applications in science, engineering, and large-scale data analytics. At SC16, six finalists will compete for this year’s prize. Three of those submissions are based on calculations performed on the newest No. 1 system on the TOP500 list, the Sunway TaihuLight machine in China. A recent photo of Gordon Bell – a long-time SC innovator/leader. The Gordon Bell Prize, was created in 1987 by Gordon Bell, who rose to fame as a computer designer for Digital Equipment Corp. Prizes may be awarded for peak performance or special achievements in scalability and time-to-solution on important science and engineering problems. Financial support of the $10,000 award is provided by Bell and the recognition itself is highly valued by the scientists whose scientific applications push the sustained performance of leading edge supercomputers. “Our community is fortunate to have the Gordon Bell Prize, because it documents scientific progress at the frontier of both supercomputing architectures and important computational science applications,” said Jeff Vetter, who leads the Future Technologies Group at Oak Ridge National Laboratory and was a member of the team that won the Gordon Bell Prize in 2010. In his 2013 book, “Contemporary High Performance Computing: From Petascale to Exascale,” Vetter wrote notes that the prize is “the most well-known scientific accomplishment” for HPC performance on real scientific problems. Simon has continued to add to those credentials, including serving as one of four editors of the twice-yearly TOP500 list, which was created in 1993. But the Gordon Bell Prizes also provide insight into how scientific computing capabilities have changed over the years. The prizes for peak performance usually go to researchers using the world’s fastest supercomputer at the time. For example, the 1998 winning team got access to a 1,024 processor Cray T3E that was still on the factory floor in Chippewa Falls. With the debut of the Earth Simulator in 2002, teams running applications on the system took home the Gordon Bell Prize for peak performance in 2002, 2003 and 2004. A similar pattern ensued when BlueGeneL ended the Earth Simulator’s dominance in late 2004. At SC16, several of the Gordon Bell Prize entries are based on results from the Sunway TaihuLight machine in China that grabbed the top spot on the latest TOP500 list in June. Interestingly, though, despite the importance of the prize in the HPC community, there is no comprehensive list of winners online. But there are pieces. 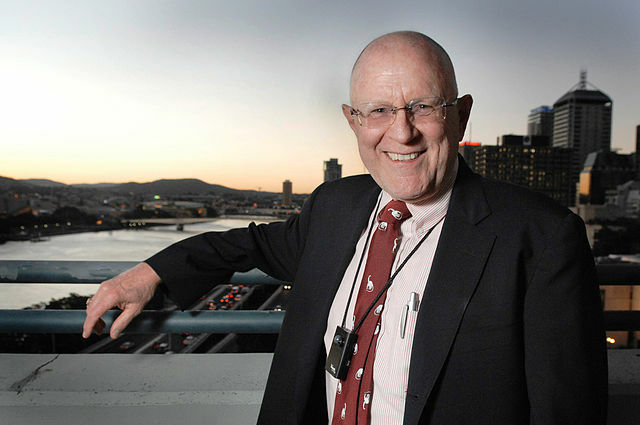 For SC2000, Blaise Barney of Lawrence Livermore National Laboratory compiled a list of all winners from 1987 to 1999, even noting that no prize was awarded in 1991. Starting in 2006, ACM began co-sponsoring the prize and maintains a list of “ACM Gordon Bell Prize” winners from 2006 to the present, with links to the award papers. But for 2000? 2001? Up to 2005? It’s an online scavenger hunt – and an omission that even Wikipedia hasn’t addressed. However, thanks to the efforts of SC communicators and awards chairs, the information was recorded and virtually squirreled away on conference websites. By digging through old press releases and awards list, we have come up with the list below. First Place: Phong Vu, Cray Research; Horst Simon, NASA Ames; Cleve Ashcraft, Yale University; Roger Grimes and John Lewis, Boeing Computer Services; Barry Peyton, Oak Ridge National Laboratory; “Static finite element analysis,” 1 Gflops on 8-proc. Cray Y-MP, Running time reduced from 15 min. to 30 sec. Honorable Mention: Marina Chen, Young-il Choo, Jungke Li and Janet Wu, Yale University; Eric De Benedictus, Ansoft Corp.; “Automatic parallelization of a financial application,” 350 times speedup on a 1,024 N-CUBE and 50 times speedup on a 64 node Intel iPSC-2. First Place: Michael Warren, Los Alamos National Laboratory; John K. Salmon, Caltech; “Simulation of 9 million gravitating stars by parallelizing a tree code,” 5 Gflops on an Intel Touchstone Delta. First Place: Hisao Nakanishi and Vernon Rego, Purdue University; Vaidy Sunderam, Emory University; “Simulation of polymer chains parallelized over a heterogeneous collection of distributed machines,” 1 Gflops/$1M. First Place: Mark T. Jones and Paul Plassmann, Argonne National Laboratory; “Large, sparse linear system solver that enabled the solution of vortex configurations in superconductors and the modeling of the vibration of piezo-electric crystals,” 4 Gflops on an Intel Touchstone Delta. Speedups between 350 and 500. Competitors for this year’s prize for best performance tied, each achieving 1.34 teraflops. First place: Tetsu Narumi, Ryutaro Susukita, Takahiro Koishi, Kenji Yasuoka, Hideaki Furusawa, Atsushi Kawai and Thoshikazu Ebisuzaki; “Molecular Dynamic Simulation for NaCl for a Special Purpose Computer: MDM,” 1.34 Tflops. First place: Junichiro Makino, Toshiyuki Fukushige and Masaki Koga; “Simulation of Black Holes in a Galactic Center on GRAPE-6,” 1.349 Tflops. Toshiyuki Fukushige and Junichiro Makino; “Simulation of black holes in a galactic center,” 11.55 Tflop/s. Joon Hwang, Seung Kim and Chang Lee, “Study of impact locating on aircraft structure,” by low-cost cluster cost 24.6 cents/Mflop/s, or less than 25 cents per 1-million floating operations per second. Gabrielle Allen, Thomas Dramlitsch, Ian Foster, Nick Karonis, Matei Ripeanu, Edward Seidel and Brian Toonen for supporting efficient execution in the heterogeneous distributed computing environments with Cactus and Globus. Satoru Shingu, Yoshinori Tsuda, Wataru Ohfuchi, Kiyoshi Otsuka, Earth Simulator Center, Japan Marine Science and Technology Center; Hiroshi Takahara, Takashi Hagiwara, Shin-ichi Habata, NEC Corporation; Hiromitsu Fuchigami, Masayuki Yamada, Yuji Sasaki, Kazuo Kobayashi, NEC Informatec Systems; Mitsuo Yokokawa, National Institute of Advanced Industrial Science and Technology; Hiroyuki Itoh, National Space Development Agency of Japan. “A 26.58 Tflops Global Atmospheric Simulation with the Spectral Transform Method on the Earth Simulator,” 26.58 Tflops simulation of a complex climate system using an atmospheric circulation model called AFES. Hitoshi Sakagami, Himeji Institute of Technology; Hitoshi Murai, Earth Simulator Center, Japan Marine Science and Technology Center; Yoshiki Seo, NEC Corporation; Mitsuo Yokokawa, Japan Atomic Energy Research Institute; “14.9 Tflops Three-dimensional Fluid Simulation for Fusion Science with HPF on the Earth Simulator,” 14.9 Tflops run of a parallelized version of IMPACT-3D, an application written in High Performance Fortran that simulates the instability in an imploding system, such as the ignition of a nuclear device. Mitsuo Yokokawa, Japan Atomic Energy Research Institute; Ken’ichi Itakura, Atsuya Uno, Earth Simulator Center, Japan Marine Science and Technology Center; Takashi Ishihara, Yukio Kaneda, Nagoya University; “16.4-Tflops Direct Numerical Simulation of Turbulence by a Fourier Spectral Method on the Earth Simulator.” New methods for handling the extremely data-intensive calculation of a three-dimensional Fast Fourier Transform on the Earth Simulator have allowed researchers to overcome a major hurdle for high performance simulations of turbulence. Manoj Bhardwaj, Kendall Pierson, Garth Reese, Tim Walsh, David Day, Ken Alvin, James Peery, Sandia National Laboratories; Charbel Farhat, Michel Lesoinne, University of Colorado at Boulder; “Salinas: A Scalable Software for High Performance Structural and Solid Mechanics Simulation.” The structural mechanics community has embraced Salinas, engineering software over 100,000 lines long that has run on a number of advanced systems, including a sustained 1.16 Tflops performance on 3,375 ASCI White processors. James C. Phillips, Gengbin Zheng, Sameer Kumar, Laxmikant V. Kale, University of Illinois at Urbana-Champaign; “NAMD: Biomolecular Simulation on Thousands of Processors.” Researchers achieved unprecedented scaling of NAMD, a code that renders an atom-by-atom blueprint of large biomolecules and biomolecular systems. Dimitri Komatitsch, Chen Ji, and Jeroen Tromp, California Institute of Technology; and Seiji Tsuboi, Institute for Frontier Research on Earth Evolution, JAMSTEC; “A 14.6 Billion Degrees of Freedom, 5 Teraflop/s, 2.5 Terabyte Earthquake Simulation on the Earth Simulator.” The researchers used 1,944 processors of the Earth Simulator to model seismic wave propagation resulting from large earthquakes. Volkan Akcelik, Jacobo Bielak, Ioannis Epanomeritakis, Antonio Fernandez, Omar Ghattas, Eui Joong Kim, Julio Lopez, David O’Hallaron and Tiankai Tu, Carnegie Mellon University; George Biros, Courant Institute, New York University; and John Urbanic, Pittsburgh Supercomputing Center; “High Resolution Forward and Inverse Earthquake Modeling on Terascale Computers.” The researchers developed earthquake simulation algorithms and tools and used them to carry out simulations of the 1994 Northridge earthquake in the Los Angeles Basin using 100 million grid points. Junichiro Makino and Hiroshi Daisaka, University of Tokyo; Eiichiro Kokubo, National Astronomical Observatory of Japan; and Toshiyuki Fukushige, University of Tokyo; “Performance Evaluation and Tuning of GRAPE-6—Towards 40 ‘Real’ Tflop/s.” The researchers benchmarked GRAPE-6, a sixth-generation special-purpose computer for gravitational many-body problems, and presented the measured performance for a few real applications with a top speed of 35.3 teraflops. Akira Kageyama, Masanori Kameyama, Satoru Fujihara, Masaki Yoshida, Mamoru Hyodo, and Yoshinori Tsuda, JAMSTEC; “A 15.2 TFlops Simulation of Geodynamo on the Earth Simulator,” 15.2 TFlop/s on 4,096 processors of the Earth Simulator. Frederick H. Streitz, James N. Glosli, Mehul V. Patel, Bor Chan, Robert K. Yates, Bronis R. de Supinski, Lawrence Livermore National Laboratory; James Sexton and John A. Gunnels, IBM; “100+ TFlop Solidification Simulations on BlueGene/L.” The team achieved up to 107 teraflop/s (trillion operations per second) with a sustained rate of 101.7 teraflop/s over a seven-hour run on the IBM BlueGeneL’s 131,072 processors. Francois Gygi University of California, Davis; Erik W. Draeger, Martin Schulz and Bronis R. de Supinski, Lawrence Livermore National Laboratory; John A. Gunnels, Vernon Austel and James C. Sexton, IBM Watson Research Center; Franz Franchetti, Carnegie Mellon University; Stefan Kral, Christoph W. Ueberhuber and Juergen Lorenz; Vienna University of Technology; “Large-scale electronic structure calculations of high-Z metals on the BlueGene/L platform.” A sustained peak performance of 207.3 TFlop/s was measured on 65,536 nodes, corresponding to 56.5% of the theoretical full machine peak using all 128k CPUs. Pavlos Vranas, Gyan Bhanot, Matthias Blumrich, Dong Chen, Alan Gara, Philip Heidelberger, Valentina Salapura and James C. Sexton, all of IBM Watson Research Center; “The BlueGene/L supercomputer and quantum ChromoDynamics,” QCD simulation that achieved 12.2 Teraflops sustained performance with perfect speedup to 32K CPU cores. James N. Glosli, David F. Richards, Kyle J. Caspersen, Robert E. Rudd and Frederick H. Streitz, all of Lawrence Livermore National Laboratory; and John Gunnels of IBM Watson Research Center; “Extending Stability Beyond CPU Millennium: A Micron-Scale Simulation of Kelvin-Helmholtz Instability.” The team that won the 2005 Gordon Bell Prize for a simulation investigating the solidification in tantalumand uranium at extreme temperatures and pressure, with simulations ranging in size from 64,000 atoms to 524 million atoms, used an expanded machine to conduct simulations of up to 62.5 billion atoms. The optimized ddcMD code is benchmarked at 115.1 Tflop/s in their scaling study and 103.9 Tflop/s in a sustained science run. Lin-Wang Wang, Byounghak Lee, Hongzhang Shan, Zhengji Zhao, Juan Meza, Erich Strohmaier, and David H. Bailey, Lawrence Berkeley National Laboratory; “Linear Scaling Divide-and-Conquer Electronic Structure Calculations for Thousand Atom Nanostructures,” for special achievement in high performance computing for their research into the energy harnessing potential of nanostructures. Their method, which was used to predict the efficiency of a new solar cell material, achieved impressive performance and scalability. Markus Eisenbach and Donald M. Nicholson, Oak Ridge National Laboratory; Cheng-gang Zhou, J.P. Morgan Chase; Gregory Brown, Florida State University; Jeffrey Larkin, Cray Inc.; and Thomas Schulthess, ETH Zurich; “A scalable method for ab initio computation of free energies in nanoscale systems,” on the Cray XT5 system at ORNL, sustaining 1.03 Petaflop/s in double precision on 147,464 cores. Tsuyoshi Hamada, Nagasaki University; Tetsu Narumi, University of Electro-Communications, Tokyo; Rio Yokota, University of Bristol; Kenji Yasuoka, Keio University, Yokohama; Keigo Nitadori and Makoto Taiji, RIKEN Advanced Science Institute; “42 TFlops hierarchical N-body simulations on GPUs with applications in both astrophysics and turbulence.” The maximum corrected performance is 28.1TFlops for the gravitational simulation, which results in a cost performance of 124 MFlops/$1M. Abtin Rahimian and Ilya Lashuk, Georgia Tech; Shravan Veerapaneni, NYU; Aparna Chandramowlishwaran, Dhairya Malhotra, Logan Moon and Aashay Shringarpure, Georgia Tech; Rahul Sampath and Jeffrey Vetter, Oak Ridge National Laboratory; Richard Vuduc and George Biros, Georgia Tech; Denis Zorin, NYU; “Petascale Direct Numerical Simulation of Blood Flow on 200K Cores and Heterogeneous Architectures,” achieved 0.7 Petaflops/s of sustained performance on Jaguar. Yukihiro Hasegawa, Next-Generation Supercomputer R&D Center, Riken; Jun-Ichi Iwata, Miwako Tsuji and Daisuke Takahashi, University of Tskuba; Atsushi Oshiyama, University of Tokyo; Kazuo Minami, Taisuke Boku, University of Tskuba; Fumiyoshi Shoji, Atsuya Uno and Motoyoshi Kurokawa, Next-Generation Supercomputer R&D Center, Riken; Hikaru Inoue and Ikuo Miyoshi, Fujitsu Ltd.; and Mitsuo Yokokawa, Next-Generation Supercomputer R&D Center, Riken; “First-principles calculations of electron states of a silicon nanowire with 100,000 atoms on the K computer.” A 3.08 petaflops sustained performance was measured for one iteration of the SCF calculation in a 107,292-atom Si nanowire calculation using 442,368 cores, which is 43.63% of the peak performance of 7.07 Pflop/s. Takashi Shimokawabe, Takayuki Aoki, Tomohiro Takaki, Toshio Endo, Akinori Yamanaka, Naoya Maruyama, Akira Nukada, and Satoshi Matsuoka, all of Tokyo Institute of Technology; “Petascale phase-field simulation for dendritic solidification on the TSUBAME 2.0 supercomputer,” simulations on the GPU-rich TSUBAME 2.0 supercomputer at the Tokyo Institute of Technology have demonstrated good weak scaling and achieved 1.017 PFlops in single precision for our largest configuration, using 4,000 GPUs along with 16,000 CPU cores. “A new computational paradigm in multiscale simulations: Application to brain blood flow,” by Leopold Grinberg et al. Tomoaki Ishiyama, Keigo Nitadori, University of Tskuba; and Junichiro Makino, Tokyo Institute of Technology; “4.45 Pflops astrophysical N-body simulation on K computer: the gravitational trillion-body problem,” The average performance on 24576 and 82944 nodes of K computer are 1.53 and 4.45 Pflop/s, which correspond to 49% and 42% of the peak speed. Diego Rossinelli, Babak Hejazialhosseini, Panagiotis Hadjidoukas and Petros Koumoutsakos, all of ETH Zurich; Costas Bekas and Alessandro Curioni of IBM Zurich Research Laboratory; and Steffen Schmidt and Nikolaus Adams of Technical University Munich; “11 Pflop/s simulations of cloud cavitation collapse,” high throughput simulations of cloud cavitation collapse on 1.6 million cores of Sequoia reaching 55% of its nominal peak performance, corresponding to 11 Pflop/s. David E. Shaw, J.P. Grossman, Joseph A. Bank, Brannon Batson, J. Adam Butts, Jack C. Chao, Martin M. Deneroff, Ron O. Dror, Amos Even, Christopher H. Fenton, Anthony Forte, Joseph Gagliardo, Gennette Gill, Brian Greskamp, C. Richard Ho, Douglas J. Ierardi, Lev Iserovich, Jeffrey S. Kuskin, Richard H. Larson, Timothy Layman, Li-Siang Lee, Adam K. Lerer, Chester Li, Daniel Killebrew, Kenneth M. Mackenzie, Shark Yeuk-Hai Mok, Mark A. Moraes, Rolf Mueller, Lawrence J. Nociolo, Jon L. Peticolas, Terry Quan, Daniel Ramot, John K. Salmon, Daniele P. Scarpazza, U. Ben Schafer, Naseer Siddique, Christopher W. Snyder, Jochen Spengler, Ping Tak Peter Tang, Michael Theobald, Horia Toma, Brian Towles, Benjamin Vitale, Stanley C. Wang and Cliff Young: all of D.E. Shaw Research; “Anton 2: raising the bar for performance and programmability in a special-purpose molecular dynamics supercomputer.” Anton 2 is the first platform to achieve simulation rates of multiple microseconds of physical time per day for systems with millions of atoms. Demonstrating strong scaling, the machine simulates a standard 23,558-atom benchmark system at a rate of 85 μs/day—180 times faster than any commodity hardware platform or general-purpose supercomputer. Johann Rudi and Tobin Isaac, Omar Ghattas University of Texas at Austin; A. Cristiano I. Malossi, Peter W. J. Staar, Yves Ineichen, Costas Bekas, Alessandro Curioni, IBM Research, Zurich; Georg Stadler, New York University; and Michael Gurnis, Caltech; “An extreme-scale implicit solver for complex PDEs: highly heterogeneous flow in earth’s mantle,” scaled to 1.5 million cores for severely nonlinear, ill-conditioned, heterogeneous, and anisotropic PDEs. List compiled by Jon Bashor, SC16 Communications Committee member from Lawrence Berkeley National Lab. Was delighted to find this as I was preparing a talk about the Prize in Singapore in March. The Prize is probably the best investment I’ve ever made…as measured by returns to science and me personally! I have to attribute the prize idea to Alan Karp when I led the first Computing and Information Sciences and Engineering (CISE) directorate at NSF. At the time I was trying to get the computer science community interested in parallelism and computational science…but they never got there. Note my talk at SC14 on the hardware evolution http://research.microsoft.com/en-us/um/people/gbell/Bell%20Cray%20Talk%202014-11-18.pptx . Thanks for putting the list together. I’ve chronicled the progress in machines, but the Prize makes it real.